BJP will win in the upcoming elections as nationalism over rides cateism says Amar Singh (Former GS of SP and Former Rajya Sabha MP). 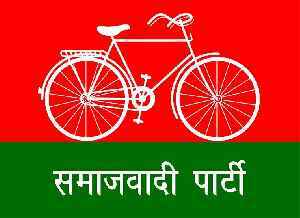 Scoring over 60% voter turnout, polling for 10 Lok Sabha seats in the Rohilkhand region of Uttar Pradesh in the third phase ended on an acrimonious note on Tuesday with wife of Samajwadi heavyweight..
EVMs across India malfunctioning or voting for the BJP: Samajwadi Party president Akhilesh Yadav. The BSP chief and the SP patriarch Mulayam Singh were seen in one frame on Saturday at joint SP-BSP rally, ending decades of political acrimony and personal bitterness. Bollywood actor-turned-politico Jaya Prada is speaking out after being subjected to sexism by her political nemesis Azam Khan. Prada and Khan were once colleagues in India's Samajwadi Party, but the..